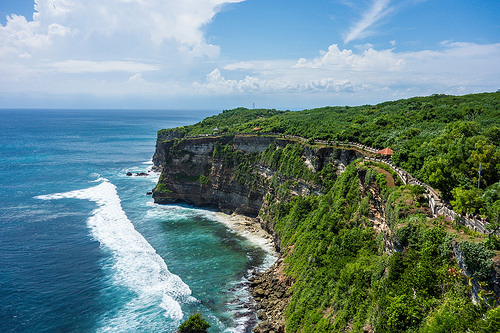 A good fare to Bali. Depending on dates and routing, fares may be a few dollars less or more. Valid for travel from early-January, 2017 – mid-February, 2017 (scattered availability) and from early-March, 2017 – late-May, 2017 and from late-August, 2017 – late-September, 2017. Must purchase at least 1 day in advance of departure. 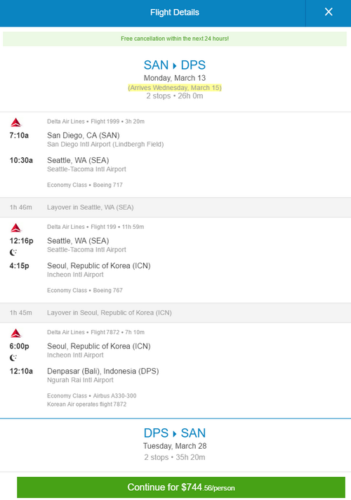 Segments between Seoul and Bali will be operated by Korean Air under Delta flight numbers.